[Solved] How do I pass loopindex to a Function Call? 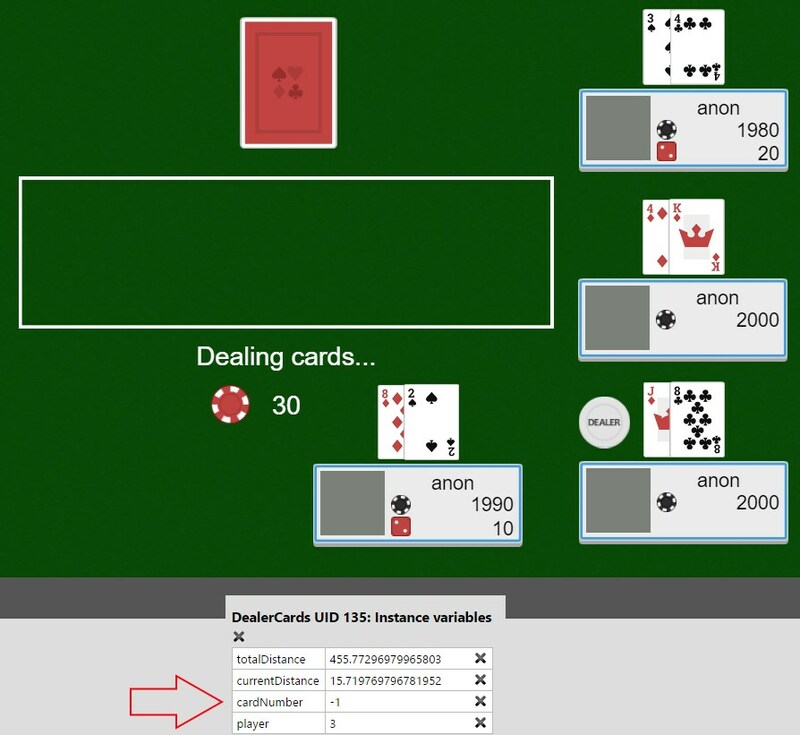 I'm making a Texas Hold 'Em style Poker game. I'm having difficulty with a function which is called from inside a loop, whose intended role is to make the cards to deal to the players. When I pass loopindex to the function as a parameter, and use that parameter to set an object's variable (one created in the function), it ends up being erroneous (-1). While I haven't looked into it in depth, I see a wait in there. Waits in loops are a classic recipe to break everything. One thing i need to tell you that you should start naming the loops and 2nd can you just place a sprite that would just hold variable and place the loopindex onto it and then use that variable for the parameter? And also I thought that loopindex only work within the loops since loops are dynamically always changing never static. if you try somethig simple ..you will see that loopindex don't wait..
so call & compare loopNumber in loop..
if you try somethig simple ..you will see that loopindex don't wait.. so call & compare loopNumber in loop..
That did the trick. Interestingly, if I added to the counter before the wait, all of the cards had the max value of the loop... whereas placing it after it worked as expected.